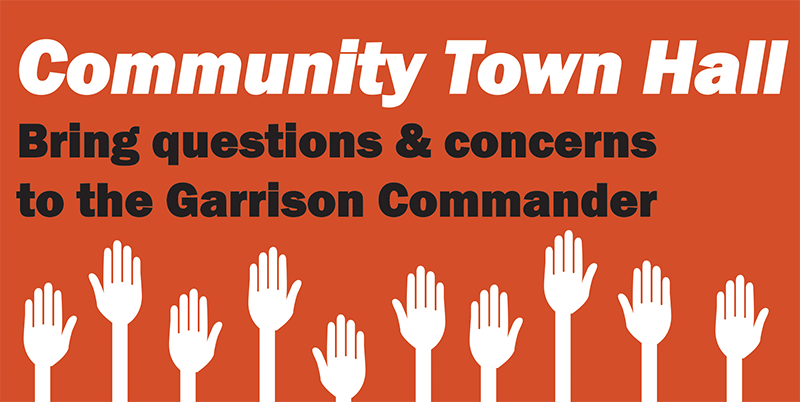 GRAFENWOEHR, Germany — The USAG Bavaria Garrison Commander, Col. Mark Colbrook, hosts a community town hall March 31 beginning at 3 p.m. at the Tower Barracks movie theater. The commander will address the Interactive Customer Evaluation program and will explain how ICE works and how best to use it to get results. Col. Colbrook will also discuss how USAG Bavaria fits into U.S. Army Europe transformation, and how this affects Soldiers and their families. He’ll also touch on employment opportunities for spouses. And, as always, he’ll open it up to questions. The town hall is open to all community members. Bring your questions. Get answers.